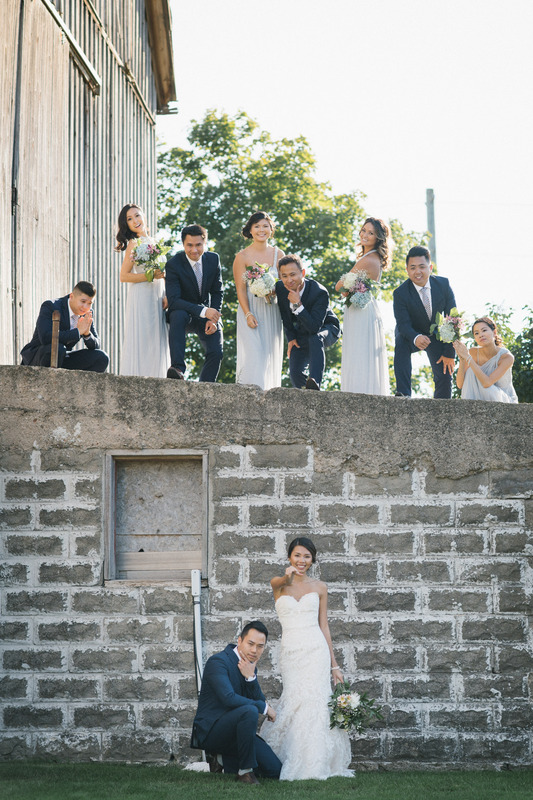 James and Lisa’s wedding at Piper’s Heath was filled with raw emotion and adorable details. The powder blue color theme of the bridesmaids’ dresses and centerpieces worked wonderfully with the rustic and breathtaking scenery of the golf club. 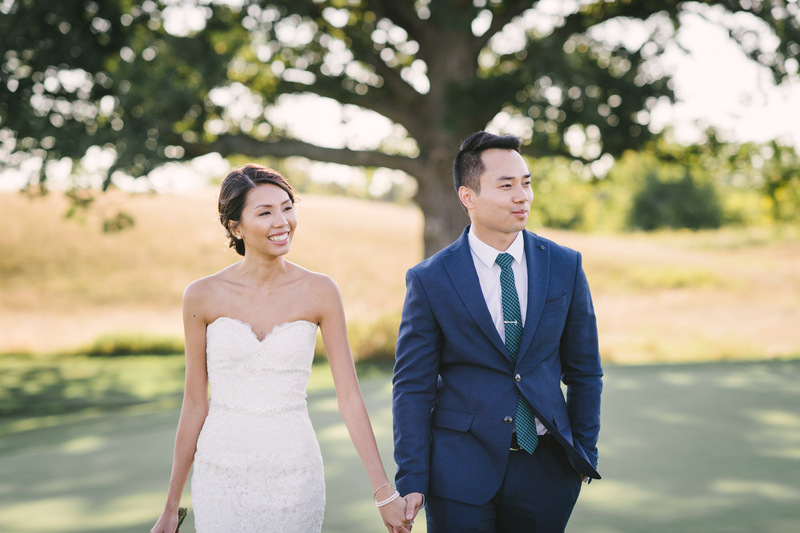 Starting off the day with a first look, the bride was dropped off by a golf cart and dashed to the private wedding garden of Piper’s Heath where the groom awaited. The ceremony also took place at the wedding garden by the adorable gazebo. Right after the ceremony, we were welcomed by the wonderful Piper’s Heath staffs with succulent hors d’oeuvres, and were shuttled to the rolling hills where a huge majestic oak tree stood – perfect for some rustic outdoor portraits! The reception was held at the romantic stone clubhouse decorated with earthy toned linens and powder blue centerpieces – full of DIY vibe! The newly wed’s photo journey wouldn’t be complete without sneaking out of the reception venue right before main course for a couple of amazing sunset shot at the golf course, which has always been one of the highlights of every wedding, and theirs is no exception. A big thank you to Tim Salisbury and his team at Piper’s Heath, who made the whole day run as smoothly as possible. They coordinated with us with all the details, made sure the day ran according to the schedule, tirelessly shuttled us around for all the unforgettable photos.